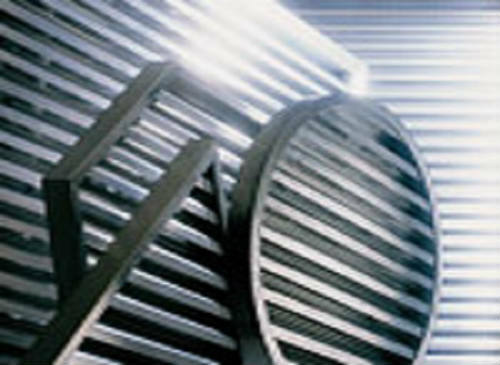 Building Profiles has been manufacturing aluminium fixed louvre grilles for over twenty years in partnership with Duco, Europe’s leading ventilation specialist. Whether you require an individual grille or a complete louvre clad facade we can offer a Duco-architectural profile either set into a frame or mounted onto concealed vertical supports. Our extensive grille range includes surface mounted types as well as frames that can be ‘glazed’ into window frames. We produce both open and security ‘chevron’ type profiles. All finishes can be supplied including powder coating and anodising and all to British Standards. Image shown above is a Duco Louvre Grille.